Duke Nukem Forever is never coming out. 3D Realms, the studio developing the game, closed their doors last week. Their previous title in the series, Duke Nukem 3D, was extremely popular, sold a ton, and helped build today's game industry. It made 3D Realms a ton of money. What happened to Duke Nukem Forever? They took too long. 3D Realms announced the game back in April of 1997. 12 years. That is a long time to work on any artistic or commercial endeavor in any industry. It's absolutely ridiculous in the PC game space, given how fast hardware and operating systems evolve. To put it in perspective, the OS people were using at that time was Windows 95! I do not have the inside scoop on what happened with 3D Realms, but I can speculate. I am sure the company was under tremendous pressure to ship another smash hit, and back in the late 90s choice of game engine was a big deal. id Software's Quake engine was one, the Unreal engine was the other. Duke Nukem started development using the Quake engine and switched in 1998 to the Unreal engine. This is never a good sign in the game world. Another game which also made a similar engine switch was epic failure Daikatana. Changing engines requires a ton of work with no immediate benefits to the product, only potential benefits. It eats time, money, and team energy. It is also indicative of an error in product planning. Any project considering swapping out such a major component needs to consider whether or not it should simply be canceled. Axl Rose and the rest of Guns N'Roses were some of the biggest rock stars in the world in the early 1990s. Their popular debut album "Appetite For Destruction" gave them wealth and credibility, so much so that the band couldn't figure out what to do next, releasing a fumbling EP, a sloppy double album of mostly older, pre-Appetite songs, and the inevitable covers album. That covers record, "The Spaghetti Incident", came out in 1993. (Parenthetically, I was working at The Record Plant in 1992 while Guns N'Roses were there recording this album). The band was, again, likely under pressure to deliver a smash follow-up album of original material. They started writing and recording in 1994, but apparently could not make things work. The band effectively broke up in 1996 and was reconstituted as an Axl Rose solo project while retaining the name. In 1998, the then-current line-up began recording. "Chinese Democracy" was released 10 years later. The band wasn't recording every day for the entire 10 years - indeed, it's hard to know exactly when the tracks were recorded. It is also doubtful that Mr. Rose and the band were hunched over pianos, quill in hand, writing for that entire time. Band line-up changes are tough to handle, but in "singer-with-a-band"-type situations, there's usually one principal songwriter (or at least editor) anyhow, and in this case, it was Mr. Rose. From what information is available, it is clear he was the principal songwriter for the album's material. One could also posit that Mr. Rose was being meticulous in his recording, aiming for some sort of sonic perfection, detailing, or "vibe". But I don't believe that is the case either. For Duke Nukem, some game footage, animations, and renders have leaked out from the ruins of 3D Realms. While there isn't even a game to evaluate, from what I can observe, it was simply a new Duke Nukem game - same characters and enemies from previous games tarted up in the latest high resolution drag. It's a first-person shooter. Even when these titles really push the boundaries (see Half-Life, Thief, Deus Ex), they're still basically the same game. There is little to suggest that Duke Nukem Forever was going to be a revolutionary title worthy of over a decade of development. 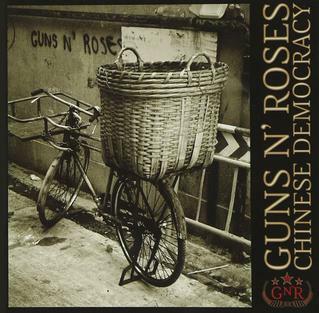 You can go listen to "Chinese Democracy" for yourself. It's a competent hard rock album. People complement it by saying "well, it sounds like a Guns N'Roses album, and certainly sounds like it could have come out after 'Appetite For Destruction.'" Except that the band spent 10 years making it...and that's all they have to show for it? (It is also rumored the album cost $13 million dollars to create, making it the most expensive recording project in history). I believe both of these projects suffered from similar issues. It wasn't simply the pressure of delivering a bigger follow-up to a commercially successful product. I believe it was a loss of urgency. There is a belief in the commercial art and entertainment businesses that people can create "hits" reliably and repeatably. And while this may appear to be true for some individuals and companies, I believe that success is out of the control of the creators. It is possible to execute your ideas well and deliver a financially solid product. But one never knows when a work is going to resonate with the public, catch the Zeitgeist, be in the right place at the right time - whatever - and truly blow up. As a result, you're better off shipping frequently and as fast as possible. Creativity is a fire. It cannot be kept up raging for a long period of time on the same project. The longer something stews, the less exciting it becomes. Finish the idea as fast as possible and move on. There is no "perfect". There is only "better". The more you create, the better you get at all aspects of creating including "finishing" in every sense of the word, and releasing/shipping. Duke Nukem Forever didn't have to switch engines. They could have released the originally-planned game. If it was "fun", it would have sold. If not, the problem was with the original design, not the engine. Some people still play the (now retro) Duke Nukem 3D. It's "fun", even if the engine is primitive. Even with the engine switch, presumably the studio had a vision and plan for finishing the game. Somewhere in there they lost it, and started freaking out about what to add, change, drop. One must stay focused. For Guns N'Roses, the picture is less clear. Mr. Rose is famously volatile and demanding. Still, it is hard to hear the album released in 2008 without thinking this album could have been released in 1999. If I were Mr. Rose, I would have gone to the public and said "I'm never releasing Chinese Democracy, but I have a new album I recorded last week." Make it fast, ship it fast. Especially for popular music, there's really little benefit in working for years. Many hit songs were written in less than an hour. Things are a little different for "classical" works - some of that can be due to the sheer number of parts, some of it can be due to compositional rigor - but there are also examples of pet projects composers worked on for many, many years (Bartok's "Bluebeard's Castle", for example) which didn't live up to the hype. Ultimately one needs to remember that with each passing hour, day, and year expectations rise as well, and probably exponentially rather than linearly. All of the above is why I do the RPM Challenge every year. Perhaps Mr. Rose should give it a try in 2010. As for 3D Realms, I wish them the best of luck. RealNetworks has a "10 Questions" interview with me on their blog.